My current HF aerial is something that could be called an 80m Linear-Loaded Doublet – known in the USA as a “Cobra” due to the snaking of the wires. In total, it’s around 18m of wire per leg folded 3 times and fed with 300-ohm balanced feeder. The overall flat-top length is 12m so able to fit into a typical UK garden (such as mine). Performance-wise, it works fine – and gets me onto 80m without too much trouble but also works on the higher bands. I have compared it against a 20m coax Dipole at the same height and, with the Doublet “tuned”, it’s typically 1 S-point down on the resonant Dipole. The balanced feeder runs into the Shack and through a home-brew 1:1 Balun wound on an FT240-31 ferrite toroid followed by a short length of RG58 to the back of my MFJ-948 ATU. See Shack Plumbing for a diagram of how this is done. Adapting It – There is nothing to stop you altering its size/configuration to suit your garden and/or bands of interest. I’ve not tried more than 3 wires, but if access to 160m was required, you could try a 4th+5th wire. My initial success with a simple 40m Linear Loaded Dipole (ie: coax-fed) prompted this revision, and I’m glad I did – it’s actually resonant in the SSB section of 40m (dip is around 7.130) but elsewhere requires the ATU. 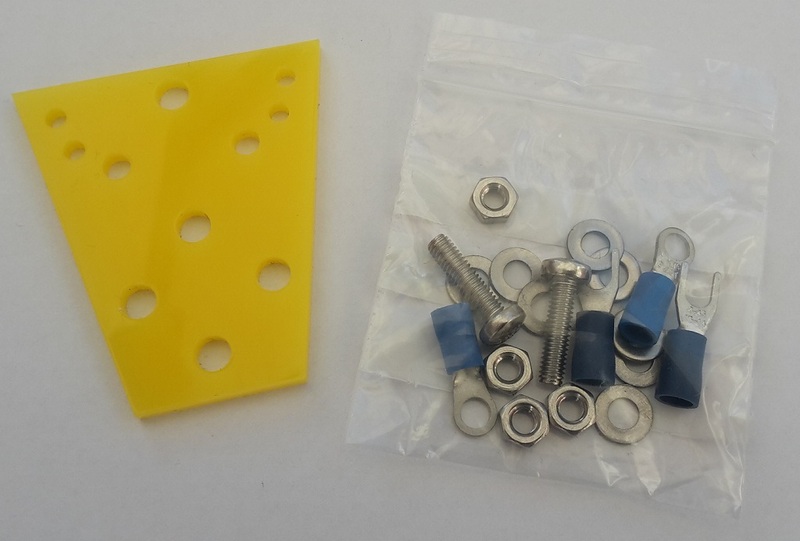 Centre-piece – This is a yellow plastic fitting as sold by my Ham Goodies store. It holds the 300-ohm feeder and supports the wires via an M4 bolt each. Spacers/Spreaders – These are 15mmx150mm and made from clear acrylic which I purchased from Acrylic Online who offer a cut-to-size service. 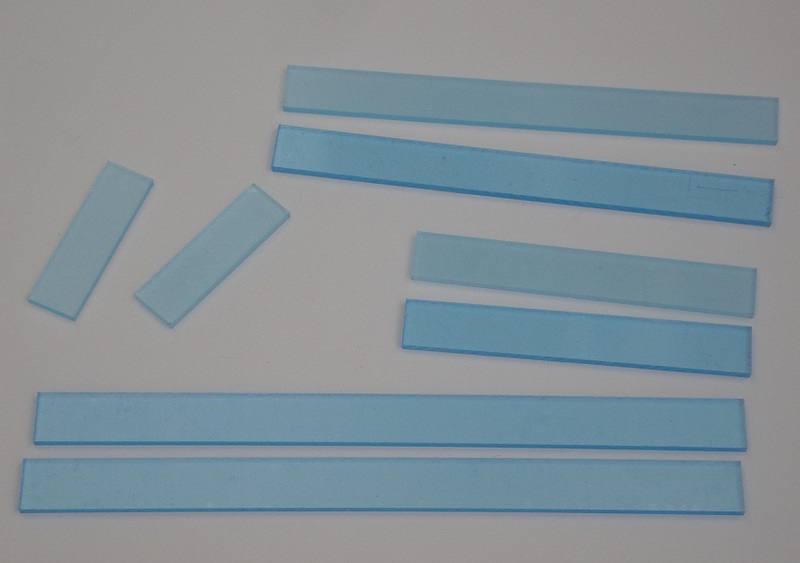 They have a minimum width of 50mm on coloured materials, but clear can be cut “thin”, ie: 15mm. The costs are reasonable, and my job lot of 50, 100, 150 and 200mm length spreaders arrived a few days after placing my order. They make great insulators, spreaders and mounts for various aerial projects.